This error can be caused by the game roms not being loaded properly, a misplaced EXE file, or video problems. To fix the issue, try the following. Ensure game roms are in the proper folder. 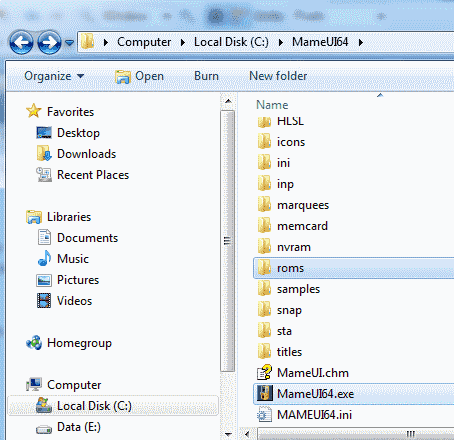 The EXE file that runs MAMEUI must be in the same location as the roms folder. Make sure you haven’t dragged the EXE to the desktop or another location, as it will not work properly without the folders in the proper place. Make sure the video game roms are not corrupted and preserved in the ZIP format. Do not unzip the files. If you are sure everything is in the proper spot, the problem could be caused by video issues. 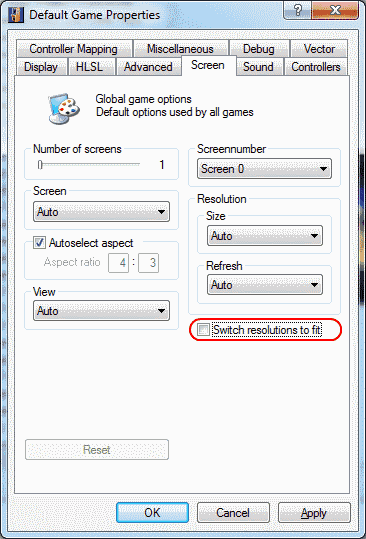 You can often fix it by selecting “Options” > “Default Game Options” > “Advanced” and ensuring that “Switch resolutions to fit” is unchecked. Hello, i am using a ‘MAMEUI64’ when i try to play a chd game, it says “Fatal error: Out of handler entries in address table”, the game passed the audit test but it still mentions the error above, please help with a solution. Do I have to have MAME on top of MAMEUI? Is it possible to hide this message when mameui is runing via command line ?